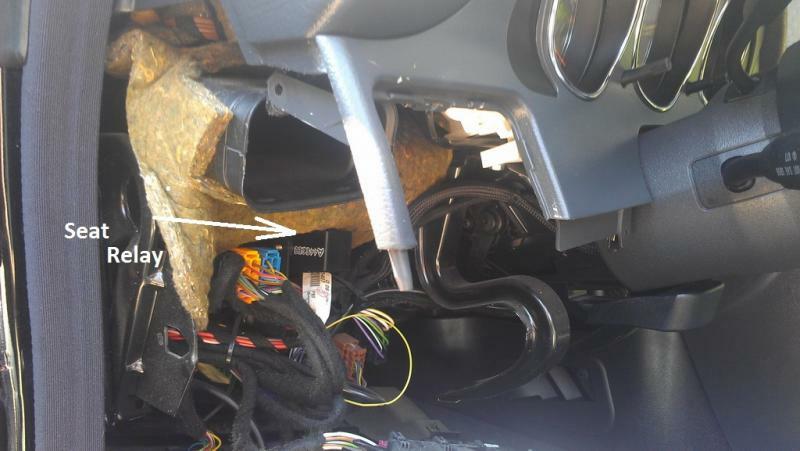 Mercedes Benz SLK Forum > Mercedes Benz R170 SLK Class Cars > SLK R170 class DIY > Intermittent seat adjustment problem. Seat relay fix. Intermittent seat adjustment problem. Seat relay fix. I performed this repair a while ago and still have some pics. The problem I came up with is that sometimes my both seats wouldn't adjust out of a sudden. I was cleaning the car and has folded both of my seats, opened the roof and was busy busy cleaning =) Then, when I was done I had to go and pick up my wife. And guess what... My seats would not adjust!!! They stayed in this awkward position where I wasn't even able to drive... That was awful! After some jiggling wiggling - turning ignition on/off, starting the car, kicking the tires, cleaning the headlights.. I just gave up and went home. Couple minutes later I came up to the car and... Both seats started working!!! I immediately adjusted them in the comfortable position and the same evening went to research the problem! 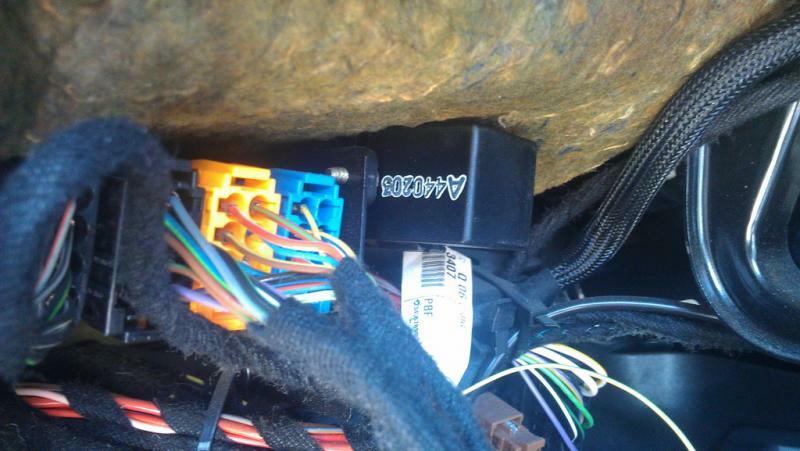 The problem is that over the time the contacts on the seat relay get "cracked" and it causes intermittent failure. 2. 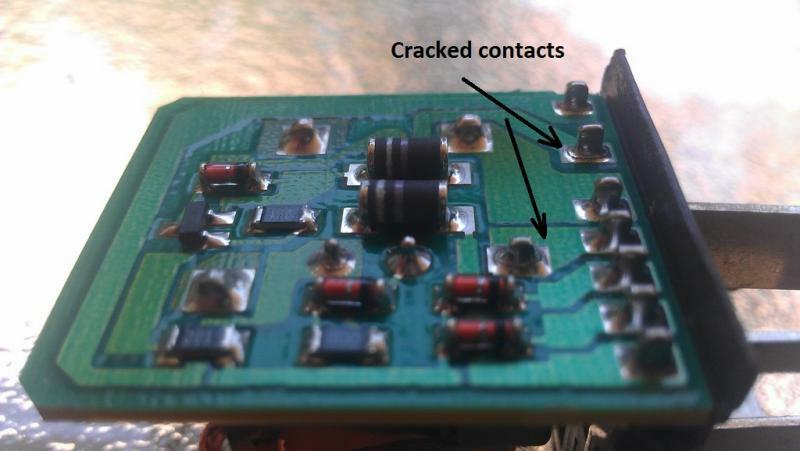 Solder cracked connections! (Really cheap and easy)! c. Solder cleaner (optional). I used wet sponge. So, to fix that you first need to disassemble the lower dashboard. For the instructions, please follow these directions all the way to step 9. Now you need to open it. Use a flat-head screwdriver or any other similar tool. Be careful to take a note how the contact board is located so you don't damage when sticking your screwdriver in!!! I pointed to the cracked contacts on the picture. Mine had about 5-7 of them!!!!! I think it happened due to extensive heat here in Texas. 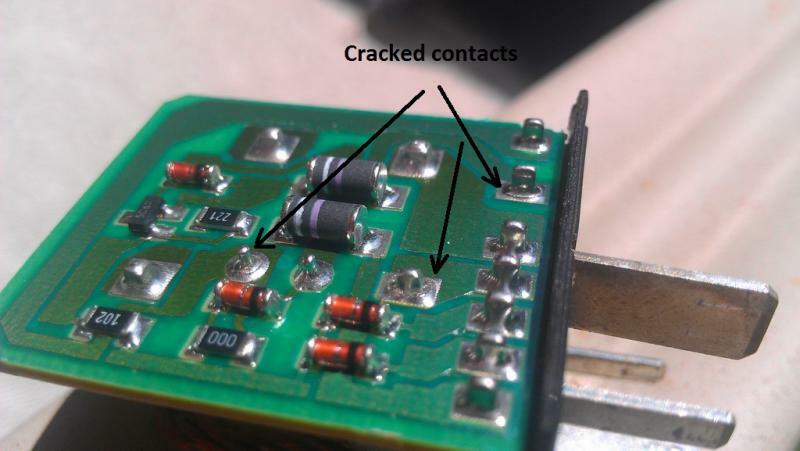 Inspect your relay for cracked contacts! It may contain 1 or many! Get a solder iron. (You can borrow one from your friend or buy one at Radioshack). Then get some solder. DO NOT buy cheap one in a dollar store! Get one from Radioshack. Will cost you $3-5. Then just get to work! Here are some of the tutorials which helped me! Make sure all cracks are covered with solder! After you're done assemble the relay and plug it back in. Test if your seats work! As I've said I did mine couple months ago and it works fine! nimbusgb, geoakley, Rob7412 and 6 others like this. Last edited by JaysonM; 09-27-2014 at 12:14 PM. See now Jayson.........If you had Manual seats like i do, you wouldn't have this problem! Also it cuts down on some major weight, so therefore my car is faster than yours because of the weight reduction (; Have a great day! Btw, great DIY post as usual, I'm sure this will be helpfull to some people! Hope it will help somebody to save a buck! You have a good day too! Hahaha yeahh, im not a racer either and our cars aren't really meant to be drove like one either! Jayson, Thanks again for such a great post ! With your instructions and photographs, the process of locating and accessing the seat control relay was greatly assisted. (I believe that MB designers went way out of their way to position that relay into nearly the most inaccessible location possible). As luck would have it, Saturday I was able to schedule time for the repair task, and the seats were working fine. Knowing the problem would reoccur - at probably the most inopportune time, I went ahead and removed the relay to "fix it". Unfortunately, all the solder connections looked fine - even checked fine with a VOM. So I cleaned the contacts and reseated the relay into its socket. Again, everything worked great - until the next day. The only thing I can imagine is that the actual relay contacts themselves have become worn to the point that the connection is intermittent. 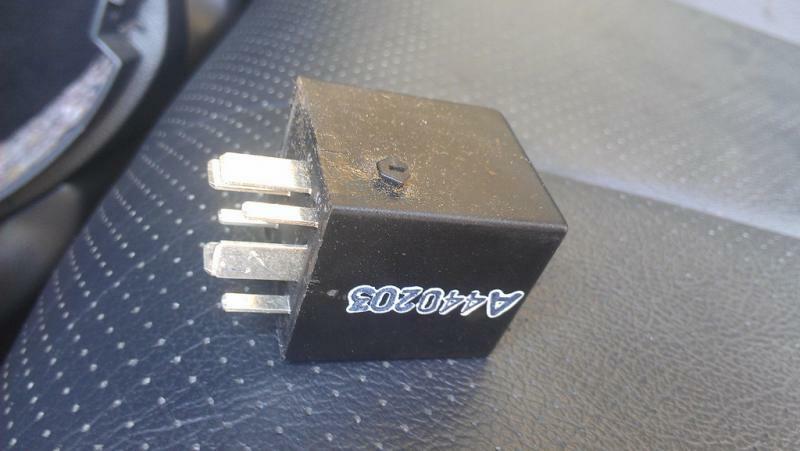 I suppose I should go ahead and purchase a replacement relay - I found one for $36.43 including shipping - which is probably not too bad. At least, thanks to you, I know where it it and how to get to it ! A GREAT BIG THANKS AGAIN FOR YOUR TERRIFIC POST!!! You're welcome Rob! Glad you sorted it out! Indeed, the location of the relay is not the most convenient one (: I'm not good with electronic boards so I can just keep wondering what can go wrong with the relay. It's been a long time since I fixed mine and it works just fine! Well, at least $35 is not that bad! Vehicle: '14 SLK 55 AMG Silver ( past ) '06 SLK 55 AMG Bright Blue, '03 SLK 320 black, '00 SLK 230 blue. I got my 'new' slk 320 this morning and one of the faults I had on delivery was a lack of any life in the electric seats. Read through this thread popped out the lower panel and removed a really crummy hands free kit and it's mic and buttons and stripped and resoldered the seat relay. I must add here that I have been soldering stuff for more than 30 years and I know what a dry ( cracked ) joint looks like but visually my relay looked good so I wasn't too hopefull that this was going to fix things. Plugged the relay back in and hey presto! Working seats. JasonM as the kids say .......... Legend! jbanks15 and El_Murcielago like this. Jayson is truly a whiz kid! First of all, congratulations on new car! Hope you like it! I'm glad that it resolved your problem! You all are making me blush =) LOL! I don't know who had this in his signature but I liked these words: "Everything can be fixed with a little patience! So the other day, I get in the car in the morning, and I noticed, my power seats wouldn't move forward [they were both working fine the night before]. Let me clarify, they weren't working AT all. So I immediately thought ok Ill check the fuses, but after about 5 minutes of driving, suddenly both worked fine. The mechanic/lawyer at work said it wasn't a fuse issue, it was a connectivity issue. And while today I have no problems with the seats I wanted to look through the threads to see what it possibly could be. And this was the second thread. I thought it was worth bumping even after all this time. Thanks for the great DIY J. Cheers for the easy tutorial... I have been putting this job off for over a year; I had to drive around for over half an hour before my last mot, last July, til they decided to work (its came on the UK mot that seats must adjust). Five minute fix as I already had my lower dash off to modify the ignition to keyless, and didn't want the same rigmarole this year for mot. Removed, opened, one dry joint soldered, closed, replaced and tested. Job done. Thanks, the power seats on my SLK quit working. With your instructions I just might be able to fix it. My dead seats are isolated to the door being open. With the key on, they both work fine. With the door open and key off, they are dead. I can hear the relay click in the dash when the door switch is pushed. Could a faulty K24 relay still be causing this situation? Update: Saw a couple of people say to hit the bottom of the dash. So I did and the seats started working! So maybe it is the K24 relay? I can't explain why I heard the relay (or maybe it was a different relay) clicking, but the seats still wouldn't work. Something was going on in there. Chances are, it's the relay. I never did actually see the relay, so will have to dig deeper behind the insulation. I'll see if the suspect solder joint is cracked and repair it. Last edited by hamrt; 08-23-2014 at 04:38 PM. Other Toys: bike as in road bike, 13lbs. A beautiful machine! or the instructions, please follow these directions all the way to step 9.
are not available. Could you repost them please. That site has been down for a long time. Can anyone post the instructions for how you remove the dashborad to get to the relay. they are no longer available at the url listed in JasonM instructions.